How to Use the Auto Select Feature? 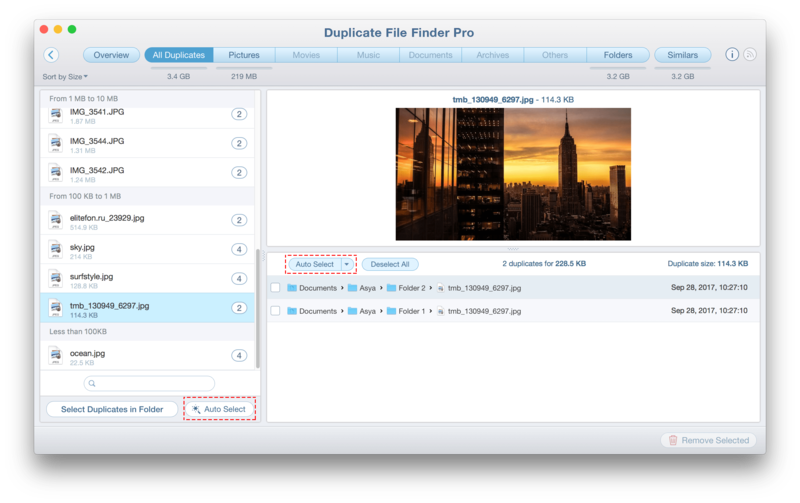 Since Duplicate File Finder became available on AppStore we found that many users took an interest in our Auto Select feature and received many emails about it. Highlighted with blue line is responsible for auto selection among all duplicates on a left list, highlighted red – for a specified duplicate group only. How does Auto Select work? 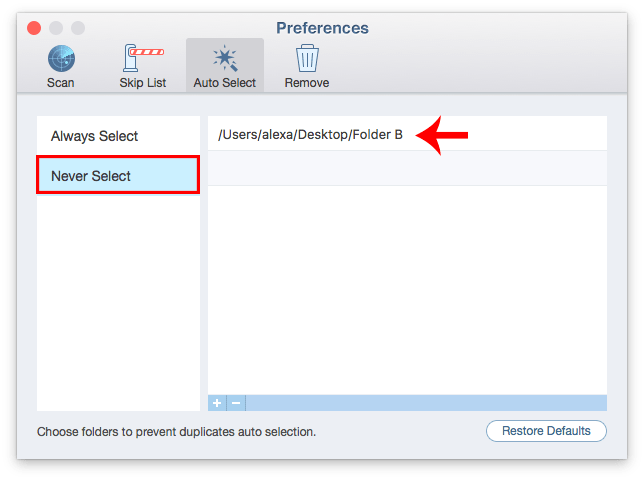 Duplicate files then are checked with Never Select and Always Select lists. If they are presented there we do skip or select files respectively. We select files that have following names like: “Copy of filename”, “Filename – 2” or “Filename (2)”. If the files have identical names the app goes up and checks folders by the same scenario. This button repeats 2 first steps and then selects files by date or in the order they were scanned by the app. Auto Select Newest and remove them also. Note: You can use red Auto Select shortcuts for the whole group, but all selected files by blue Auto Select will be checked again. How to select the folder where you want to delete or keep the duplicates? Go to Preferences → “Skip List” tab. 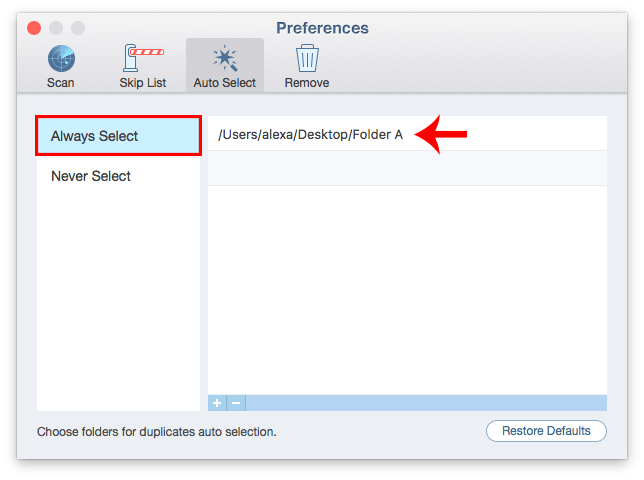 Add folders from which you want to remove duplicates to the “Always Select” list. Add folders to the “Never Select” list so that to specify a priority folder and to not delete files in it. After the next scan, when you use the Autoselect button, the duplicate files will be selected in specified folders. P.S. We encourage you to write us more about our apps. We are looking forward to improving them!